Equipment is your most valuable asset. You need it to last as long as possible to maximize its return on investment and protect your profitability. Using conventional lubricants might save you money upfront, but in the long run, your equipment will tell you differently. Time and money lost to equipment shutdowns can quickly cost more than the repair itself. 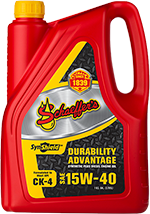 Schaeffer’s heavy-duty lubricants keep your machines running for more hours. With excellent stay-in-grade performance, our lubricants allow work to continue in even the harshest conditions and environments. Severe loading, inclines and extended idle time – no problem. 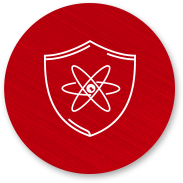 Our lubricants create a durable shield against friction, wear and heat. As conditions intensify, components are protected from extremities and contaminants. Lasting protection means less downtime on the job site. Put our products to test. With Schaeffer’s quality and experience for over 175 years, you’ll get performance as durable as our reputation. Leaking seals and hose failures rob your equipment of efficiency and expose your lubricants to contaminants. 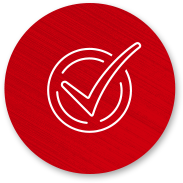 Schaeffer’s products are engineered to be compatible with a wide range of seals and hoses, which promotes longer component and fluid life and less hassle. Schaeffer’s products help you get more hours from a tank of fuel. Reducing friction, heat and wear means equipment doesn’t have to work harder or use more fuel to stay productive. 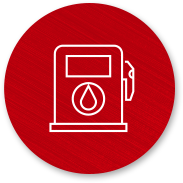 Even in severe conditions, our lubricants maintain pumpability for greater energy savings. Stop losing time on the job site to overheated equipment. Our lubricants reduce friction and dissipate heat faster so you can work longer. 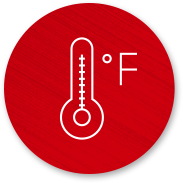 Cooler operating temperatures prolong your lubricant and equipment life. 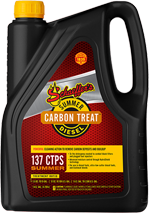 Our lubricants consistently resist oxidation and breaking down longer than conventional oils. That lasting staying power helps optimize your machinery’s performance while reducing drain intervals. As the going gets tough, we keep your machines protected. 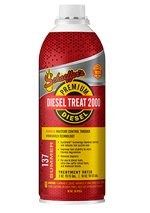 Adds lubricity, and protects against bacteria. Meets DW-10 detergency specifications, and contains less than 15PPM sulfur. Year round blend. Extreme heavy-duty, multi-purpose, aluminum complex base grease designed to withstand the demands of extreme and intense working environments. Aluminum complex. Extra tack, waterproof, red grease for use where a clean grease is needed. ISO 460 for extra protection on heavily loaded, slow moving bearings. Para-synthetic, Cat TO-4 fluid for final drives in front end loaders and haul trucks and dozers, and Eaton© (Fuller) Roadranger and Meritor (Rockwell) transmissions not under extended warranty. Full synthetic, multi-grade fluid for transmissions, torque convertors, final drives, hydraulics and wet brakes as well as machines with combined systems in Caterpillar and other OEM off-road equipment. Meets Caterpillar TO-4M. Viscosity index of >180. Non-tacky, para-synthetic, extreme pressure lubricant with soluble moly for use in enclosed industrial and automotive gear drives. For industrial gear drives, slide and way systems, gear stamping and machine press applications subjected to heavy loading or shock loading conditions. Meets USDA definition EO 13101 for bio-based products. 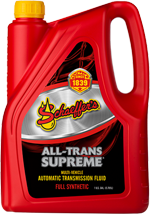 Recommended for use in automatic transmissions specifying GM Dexos III(H); Ford MERCON and MERCON V; and Chryser ATF +3 and +4. Recommended for General Motors and Ford vehicles that specify the use of Dexron VI and MERCON LV fluids respectively; it’s also suitable for use in automatic transmissions that require a JASO-1A (JWS 3309) fluid. Para-synthetic dielectric oil for boom trucks, mobile equipment and hydraulic applications that operate in wide ambient temperature ranges. Meets and exceeds the service make-up and refill requirements of transmissions, differentials, final drives, hydraulic, power steering and wet brake systems of this type of equipment, especially those that employ a common reservoir or sump. Readily biodegradable, environmentally friendly, ecologically responsive, non-toxic fluid for high pressure hydraulic systems, turbines and circulating oil systems operating in environmentally sensitive areas. Anti-wear, extreme pressure, emulsifiable, low fog generating oil for use in pneumatically operated rock drills, drifters, jackhammers, sinkers and other air operated percussion tools and pneumatic equipment used in underground, surface mining, contractor and other industrial applications. Extends service life of all types of wire rope; forms a non-tacky film that resists dirt and abrasives and protects against rust. Heavy-duty lubricant that remains soft and pliable over long period of time; forms an almost indestructible adhesive film. Extreme pressure lubricant for open gears, dipper sticks, house rails and rollers. Available in various grades. Anti-wear, extreme pressure lube for sealing pipe threads (except API thread pipes or pipe threads used in water applications). Readily biodegradable, anti-wear, extreme pressure, emulsifiable oil for rock drills, hammers, drifters and pneumatically operated equipment. Meets USDA definition EO 13101 for bio-based products. Penetrating oil with moly for medium or high-speed chains. Will not collect dust. O-ring safe. Biodegradable, heavy-duty, citrus-based degreaser with astonishing cleaning power. Check TD sheet for VOC requirements. Biodegradable, heavy-duty, citrus-based degreaser with astonishing cleaning power. Low VOC formula.